How is your elevator pitch? Join our 2.5 minute International Skyscraper* Pitch Challenge to compete before our panel of judges for a spot in CEWIT2017’s Pitch Clinic, with its valuable professional prizes for the best presenter(s) — or join just for practice. Participating companies are required to bring slides for a 7 minute slide presentation to be eligible for the final challenge round, the Pitch Clinic. To offically join, register for CEWIT2017 . *2.5 minutes is a long elevator ride, indeed. Networking, and the latest information are what CEWIT2017 is all about! In this session you will be allocated 2.5 minutes in an open forum to describe your business and objectives. Our panel of judges will select companies to move up to the Pitch Clinic, which will name at least one prize winner. For Pitch Clinic eligibility you must bring a 7-minute slide presentation with you, ready to go upon selection. Your chance to "sell" your business case to the pro's! Participants selected in the Open Pitch Challenge will deliver a 7-minute slide deck to our panel of judges and conference attendees for information and feedback. Winner(s) will receive a valuable business prize. When not managing the Firm, Anthony handles complex commercial litigation in the state and federal courts and manages the attorneys and cases in the Litigation Group. He began his career with a large New York City firm primarily representing banks, factors, and a wealth of other financial institutions. During the last 30 years, his practice has steadily expanded to include a wide variety of businesses and business owners across every market sector. Anthony has represented and advised business clients in virtually every type of commercial dispute. Whether it is during the early stages of litigation, at trial, or in the state and federal appellate courts, Anthony often enables our clients to realize results that other attorneys have deemed to be unattainable. Equally adept in the boardroom as he is in the courtroom, our business clients turn to Anthony for advice concerning corporate governance, board of director liability and responsibility, and business succession issues. Anthony works closely with the Business Law Group regarding the litigation implications of deal structure. He advises the Firm’s other practice groups when litigation issues present themselves. His charity work also included a board position for the National Multiple Sclerosis Society, Long Island Chapter, for which he acted as Chair of the Governance Committee. What problem does your technology/solution solve? The nature of your technology/solution. What are the barriers to competition? Why will customers buy-in? Sylvan Schefler is a Vice Chairman and an Investment Banker focusing on providing growth capital and M&A advisory services to public and private middle market companies. Mr. Schefler has over forty years’ experience in all aspects of investment banking. Neil Kaufman represents emerging growth, middle market and public companies and investment firms in their corporate, securities, financing, borrowing, merger & acquisition and other legal matters. He is particularly well known for advising clients with respect to SEC regulation, public offerings, private placements and mergers & acquisitions, as well as all types of commercial contracts. Mr. Kaufman additionally serves as the chairman of the Long Island Capital Alliance, a not-for-profit organization devoted to assisting emerging growth companies. 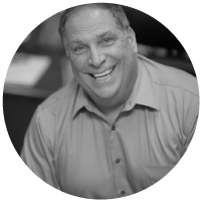 Harvey Brofman is a seasoned professional and serial entrepreneur in the healthcare space for over 25 years. Harvey is an early pioneer leading the development and adoption of new technology for systems and solutions in multiple segments within the healthcare space including the medical, pharmacy, pharmaceutical, CRM and payor components of the industry. He is known among peers as a leader and innovator. Played a driving role in the evolution of systems, telecommunications, and standards out of manual and disparate systems. His days are split between Angel Investing, working with other angels and startups. and being a sounding board for and advising portfolio companies. Harvey is also a board member of the New York Angels and serves as a mentor and/or advisor to a number of early-stage ventures.